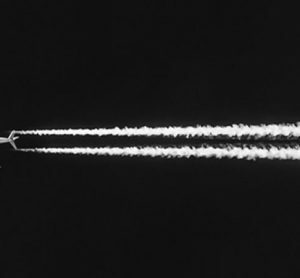 McLaren Deloitte has announced a collaboration agreement with UK air traffic services provider NATS, to bring Formula 1 technology and data science into the aviation industry to transform how operational decisions are made in the air traffic management space. During every Formula 1 race, McLaren takes into account millions of possible scenarios to then model the outcome of a range of tactical decisions. 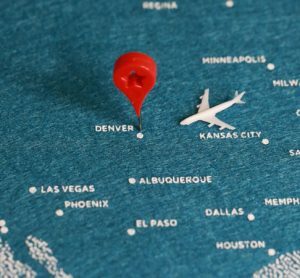 Meanwhile, Deloitte is renowned for their experience in using data analytics to deliver large consulting projects globally. 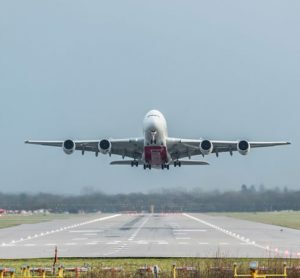 These capabilities, combined with NATS’ expertise in managing congested and complex airspace and airports, are now being deployed to help the aviation industry understand and accurately predict the impact of decisions before they are made. Developed together by NATS‘ air traffic and airspace capacity management experts with McLaren Deloitte data scientists, Performance Optimiser allows air navigation service providers to review and model the effect of a huge range of tactical decisions in en-route and terminal airspace – such as the use of flow regulations – in order to maximise available airspace capacity and minimise delays. McLaren Applied Technologies formed a partnership with business advisory firm Deloitte in 2017 to build data-driven business products. 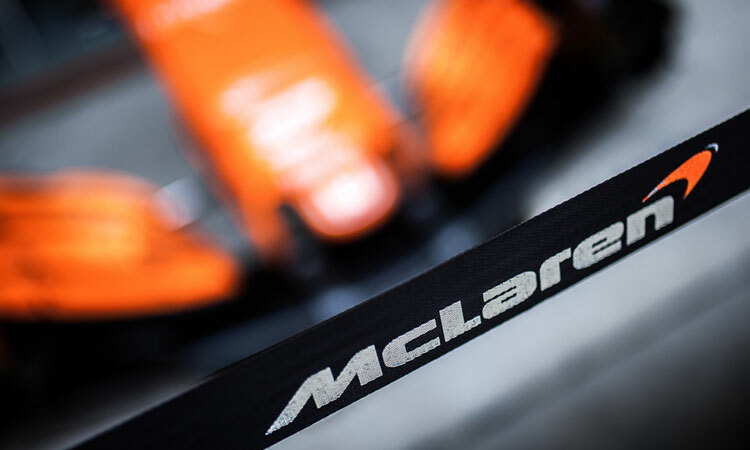 The partnership draws on McLaren’s simulation and analytics experience, developed and proven in the world of motorsport, coupled with Deloitte’s digital and analytics experience delivering large consulting projects globally. 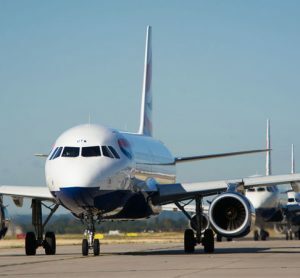 The cloud-based system Performance Optimiser offers instant access to operational data, allowing the user to view a range of factors that may influence air traffic – from the level of flow regulations and weather conditions, through to the occurrence of sporting events – in order to make an informed decision that helps best manage the airspace. Performance Optimiser can then simulate how different decisions would have changed the outcome for any given day, allowing operational supervisors to not just review performance, but inform future decisions and quickly apply their learning to drive improvement. 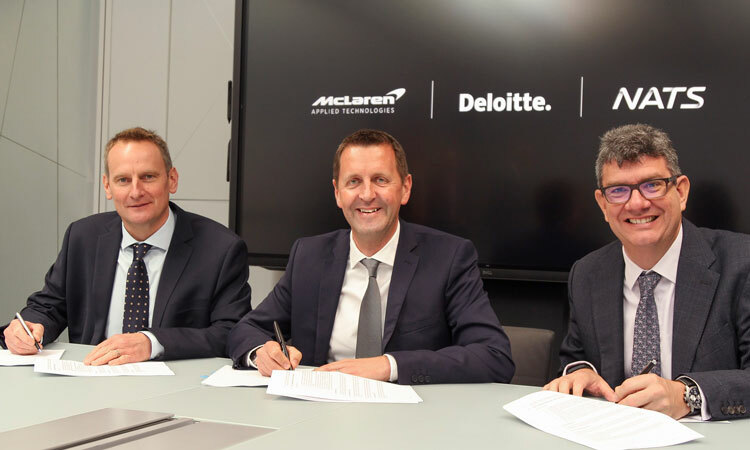 Mark Mathieson, Director of Innovation at McLaren Applied Technologies; Mark Cooper, Partner for Aviation Technology at Deloitte; and Martin Rolfe, CEO at NATS, signing the agreement.